treat today…3 exercises better than pushups and crunches. I’ve got my regular “go to” exercises that work well for me. bodyweight moves unlike anything you’ve ever seen. You’ll want to PRINT this out. 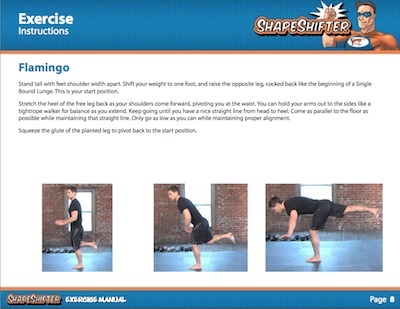 exercises you can use right now to add variety to your workouts. side, pressing off alternating arms. line. Only go as low as you can while maintaining proper alignment. width of space between your back and the floor throughout. Adam’s groundbreaking Shapeshifter Body Redesign System.